On June 23 in World Cup history: Italy's Gianluca Pagliuca becomes first goalkeeper to be sent off against Norway in East Rutherford, New Jersey, in 1994. 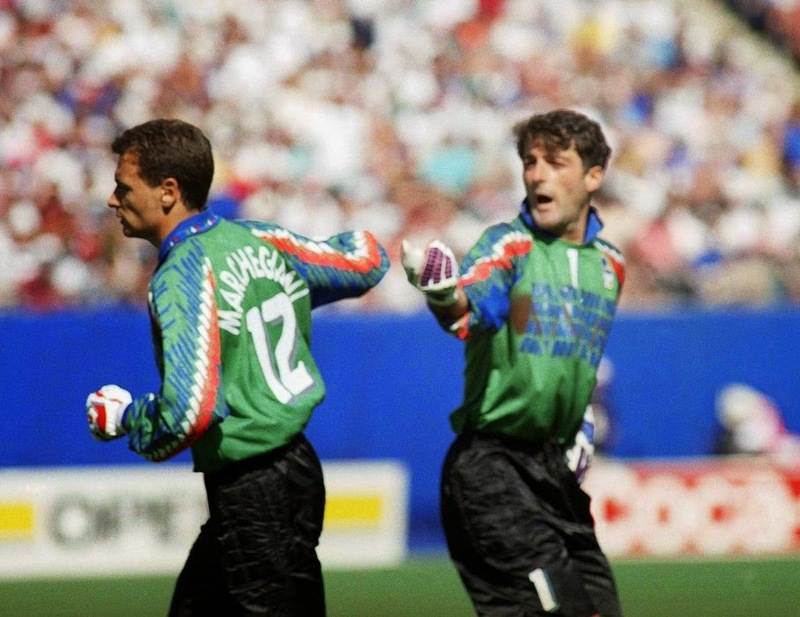 In the 21st minute of this group match, Pagliuca became the first goalkeeper to be sent off in a World Cup finals match. The straight red was shown after he touched the ball with his arm outside the penalty area as he raced out to meet Norway's Oyvind Leonhardsen. Since it lost its opening match against Ireland, Italy faced the prospect of an early exit from a tournament it was tipped to do well in. Coach Arrigo Sacchi substituted his star player Roberto Baggio to bring on replacement keeper Luca Marchegiani. The gambit worked. Dino Baggio, no relation, scored the winner in the 69th minute and Italy survived, eventually making it to the final, where it lost a penalty shootout against Brazil after a miss by Roberto Baggio.